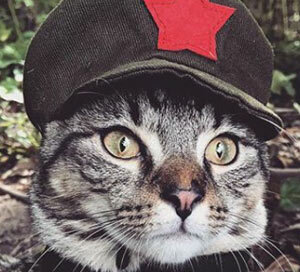 kitty propaganda Archives - Long Live the Kitty! HE HOO FOLLOWS TEH MEOW IZ WAN WIF TEH TAO. Eager and subservient human scribes quickly wrote down Great Leader’s message of wisdom, and then translated it into English from his native lolcat dialect: He who follows the Meow is one with the Tao. 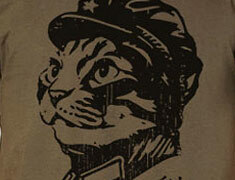 This entry was posted in kitty propaganda and tagged chairman meow stickers on February 13, 2012 by admin.